If you love that lemon and oregano flavor of Greek food, then this beer can chicken recipe is sure to become a fast favorite. You can serve with grilled potatoes, vegetable kebabs, or a simple green salad. 1. Combine fresh herbs, olive oil, garlic, salt, and lemon juice in a small bowl. It will look more like a paste than a rub. 2. Wash and remove excess fat, giblets, and the neck from chicken. Pat dry inside and out with paper towels. Set onto a large cutting board. 3.Apply half of the rub onto chicken and inside cavity. Make sure to get under the breast skin as well. 4. Open can of beer and discard half of it. Place remaining seasoning rub into the can. Make sure to pierce two more holes on the top of beer can. 6. Place chicken on top of can, making sure that it is well balanced. Place bird onto the grill balanced by the beer can. 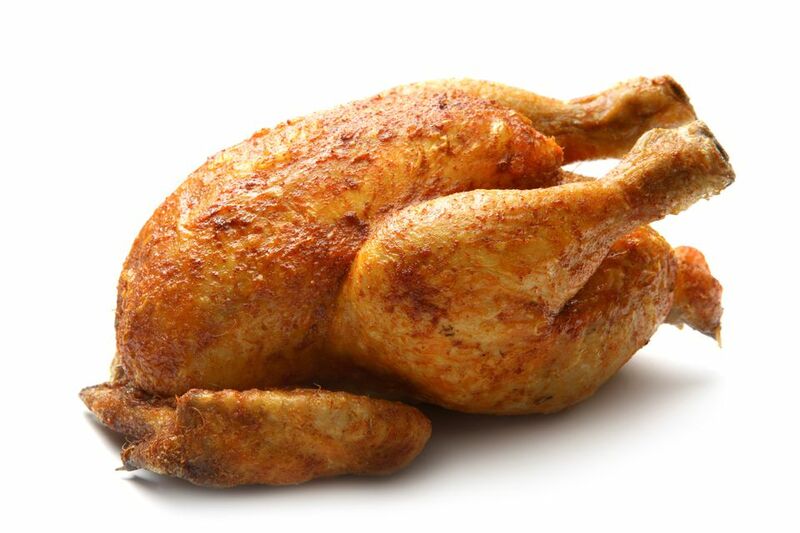 Grill over indirect medium heat for 2 hours, or until internal temperature of thigh is 180 degrees F/82 degrees C.
7. Once cooked, use heat resistant gloved to remove chicken from grill. Let sit (with beer can still intact), for 10 minutes before carving. Gently remove beer can and discard. Slice and serve chicken with your favorite side dishes. 8. If you want to cook more than one bird, simply double the ingredient recipe and follow the instructions as listed above.